On beaches in the Caribbean, cocktails with rum and coconut are king. Inspired by their travels among those islands, the owners of the Single Prop Rum company in Bucks County have launched a spirit meant to evoke those drinks. 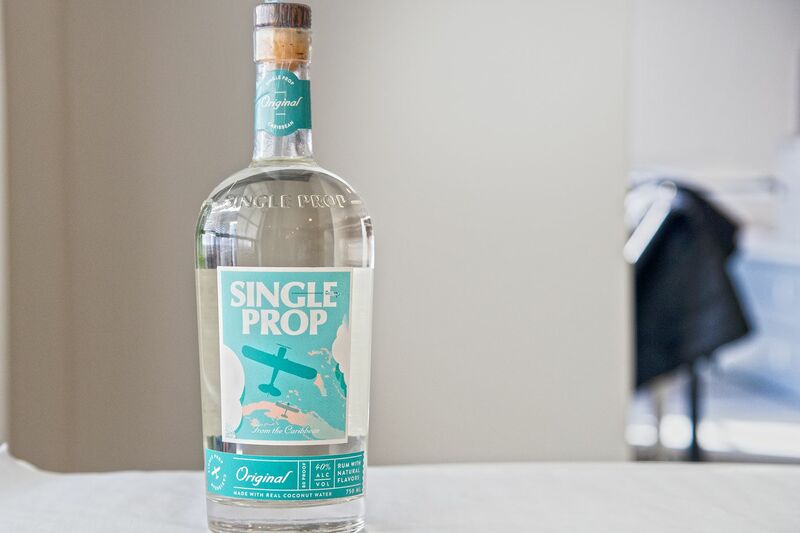 Single Prop Rum, made by distiller Theobald & Oppenheimer and bottled in Milford Township, is not coconut-flavored. Instead, it’s made by substituting water with coconut water from coconuts imported from Nicaragua. The coconut water is mixed with rum from Nicaragua and the Virgin Islands and bottled in Bucks County. The spirit can be sipped alone or mixed into fresh, beachy cocktails like daiquiris, mojitos, and mai tais. It launched last year, but in recent months has become much more widely available, and a company representative said it is now sold in more than 500 bars, restaurants and stores around the state. Single Prop Rum, $19.99. PLCB Item #1328. singleproprum.com.